Anna Children was born in Tonbridge in 1799. Her father, John Children, was a scientist and secretary of the Royal Society. Anna was commissioned by her father and produced the drawings for the book Genera of Shells (1823). In 1825 Anna married John Atkins, railway promoter and the owner of a Jamaican coffee plantation. However, she continued to work closely with her father, who was one of the first people in Britain to learn about the mechanics and potential of photography. 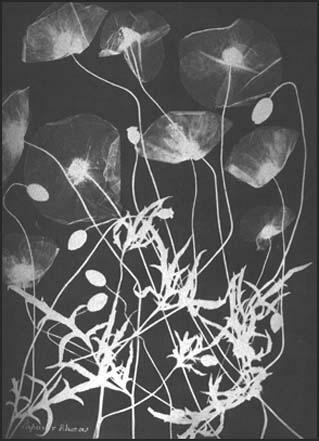 In 1840 Anna produced a book of cyanotypes, British Algae. This was followed by Cyanotypes of British and Foreign Flowering Plants and Ferns (1854). Anna Atkins died at Halstead Place, Sevenoaks, in 1871.